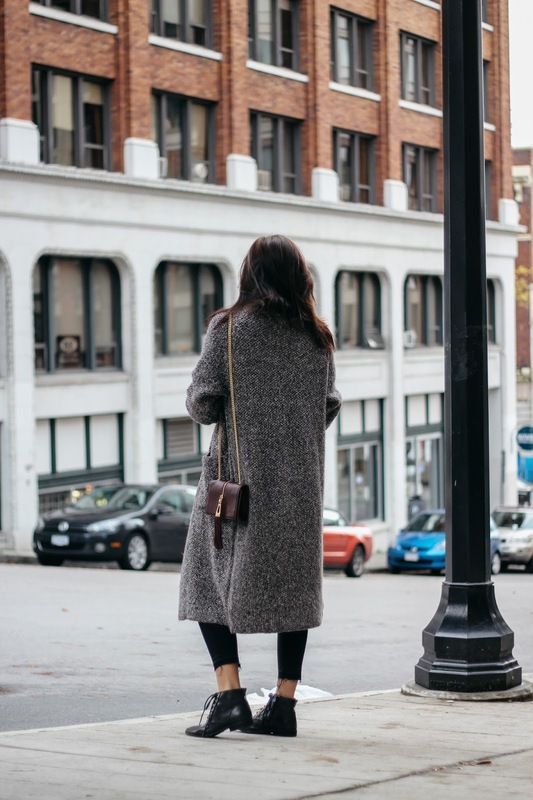 Most days all I want to do is throw on a comfy cardigan with a pair of boots and call it a day, especially since it's already dark by the time I leave work. 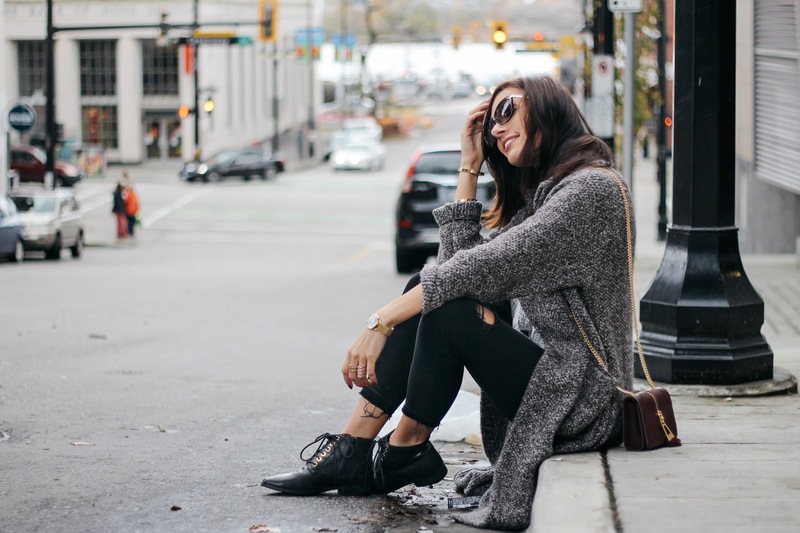 This week I've pretty much been living in the same cardigan (you can grab it here)! 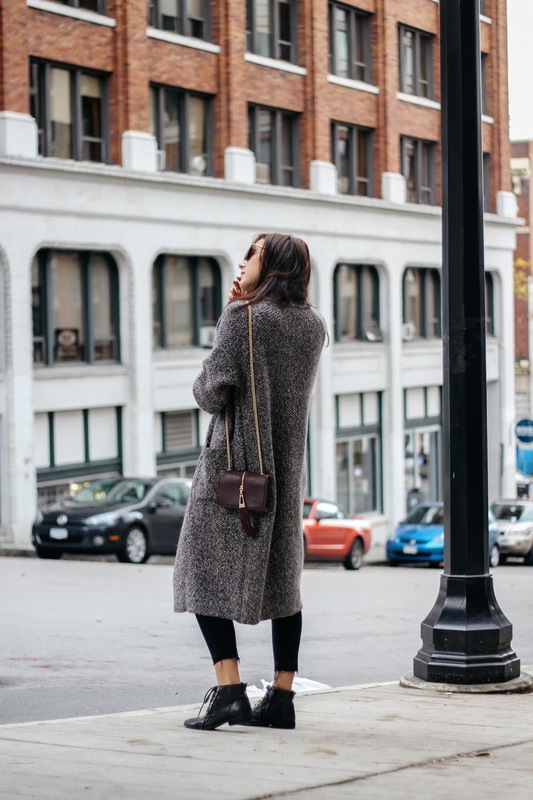 For me, it's all about oversized cardigans in the Fall/Winter, which I consider a staple this time of year. Especially since they're so easy to throw on with a pair of denim and ankle boots for days when the weather is unpredictable and not always the best. What outfits do you find yourself gravitating towards during this time of year? Let me know in the comments below! It's my dads birthday this weekend, so will most likely be heading out for dinner and back to my parents for cake..:-). I hope you all have a great Remembrance Day long weekend. As always, thank you so much for taking the time to stop by! This cardigan is gorgeous love! I love your cardigan, it looks so cozy and soft. Love how you styled it and those booties are so chic!